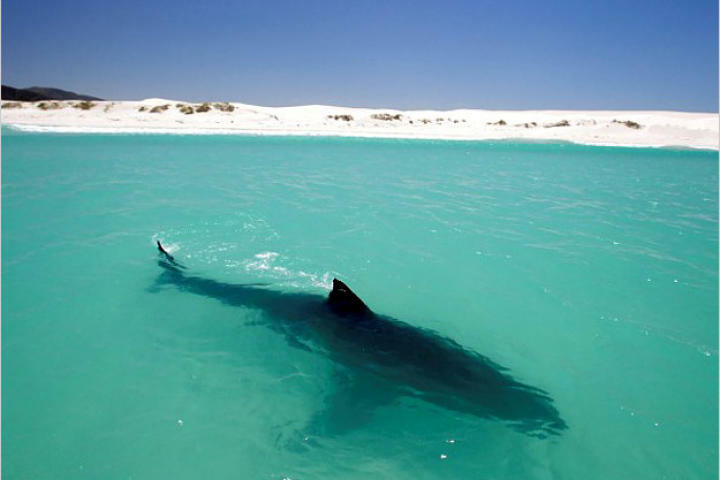 A 13-foot great white shark relaxes in less than 6 feet of water in Gaans Bay, South Africa. 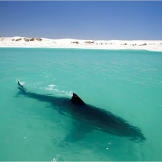 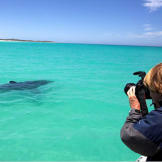 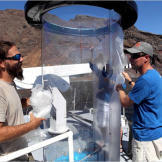 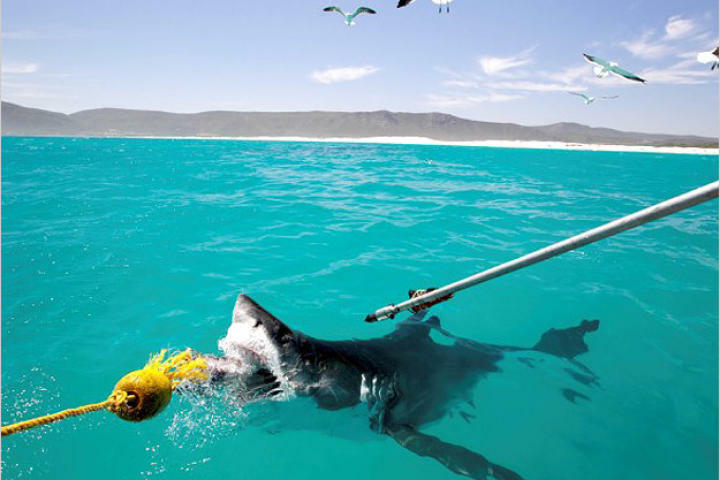 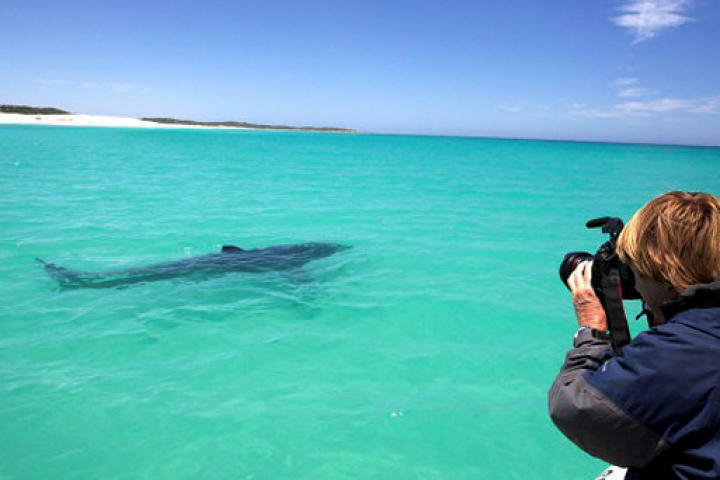 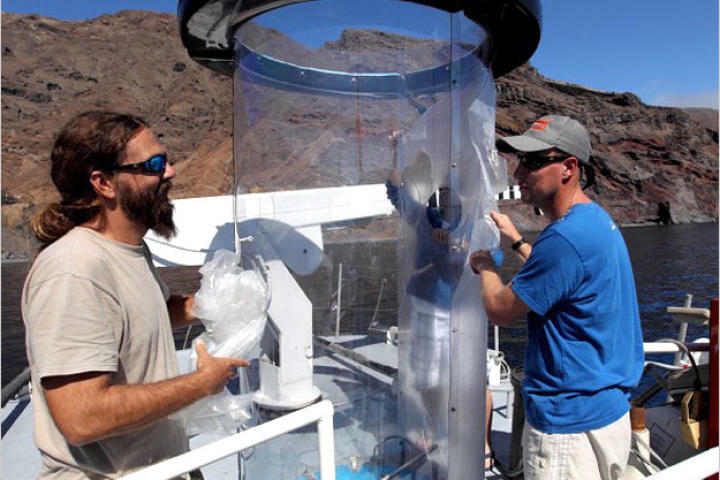 Great White Invasion investigates why, over the past decade, these massive sharks have been patrolling coasts and popular beaches in record numbers. 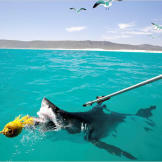 13 Chris Fallows freedives with a great white shark.